Who will win the 2017 T S Eliot Prize? My choice for the best book of poetry of 2016 would be Ian Duhig's The Blind Roadmaker. I said pretty much everything I wanted to about it in my Guardian review of it earlier this year, printed below. But without very much encouragement, I could just as easily heap superlatives on it, so here we go -- it's funny, smart, generous, crafty and crafted, beautiful, wise, and the work of a poet who's not only mastered his trade, but possesses two rare qualities in complete abundance: humility and boundless curiosity. Duhig is the real deal, and deserves the accolade of the T S Eliot Prize more than any in my opinion; even in a year with a fair few worthy contenders. I'll be keeping my fingers firmly crossed. Resolving to commemorate and mythologise Britain’s underclass on their own terms, Duhig enables the excluded to claim a home in the language. They may not have a round table, settling instead to “hand round / White Lightning in two-litre flasks”, but through the poet’s words the “Queen” and “her knights” become the modern stuff of Arthurian legend: “Her hair glows, burnished as the gold / that trims her Nike cardigan; / Ionian white her Fila trainers”. Merging poetic balladry with unflinching realism, these lines tread expertly between bleak comedy and angry social commentary. 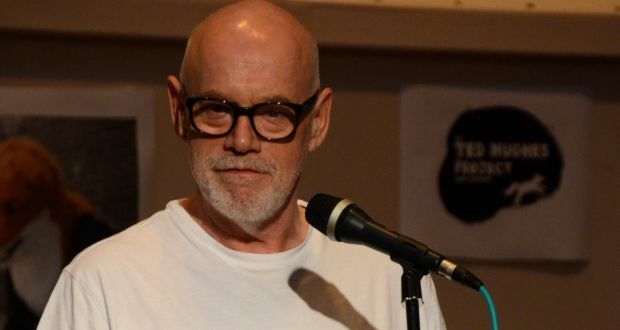 Given that he spent 15 years working in homeless shelters and drug-addiction centres before becoming a full-time writer, it is no surprise that Duhig’s unpatronising sympathy and humanity shines through his verse. At the end of the disturbing “Ashtrayville”, the poem has the reader receive a “silent watch … for your long service” to an unnamed, derelict city, at which “you weep with pride. Then you just weep.” The compassionate political and social conscience that Duhig displays here is vital, an attitude our current leaders would do well to embrace. If the poet’s interest in Metcalf and the characters of “Ashtrayland” is partly about singing songs of the forgotten and voiceless, much else in The Blind Road-Maker focuses on poetry as a fundamentally collaborative process, operating within the shared and ideally egalitarian medium of language. “The Plagiarist’s Song” unpacks the complicated layers of meaning in that term: “Plagiarus also means ‘seducer’”, we are told, before the poem points to “lip service as unpaid // as Hell or Dante’s debt to Ibn ‘Arabī”, only one example of the appropriation, incorporation, retelling and outright theft that not only defines, but to a large extent makes, our great global literary tradition. Where do we draw the line? As the poet writes of the folk singer Bert Lloyd, who deceptively invented the sources for his “traditional” songs, “Which line was written by Bert Lloyd / the song won’t care, of course, / … Ghost-writing for his unborn ghosts / perfected Bert’s own style”. Elsewhere in the collection, Duhig himself lays himself open to being accused of such abstruse meanderings through dense cultural, historical and geographical references. 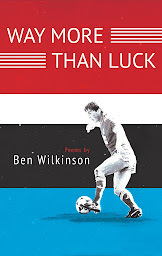 But it is his sense of humour, self-awareness and democratising attitude that steer his poetry clear of pretension. As he writes of a poetry workshop he once ran with old soldiers at Age Concern, “They’d lost that battle with the word, / believing too much better left unsaid”. Encouraging them to let it out “into words they feared betrayed it”, Duhig ends on a stark and humble note: “And I learned why they were right”. 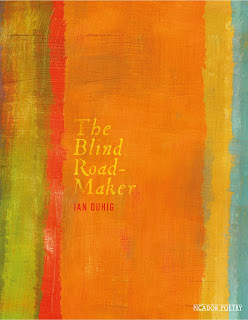 The Blind Road-Maker is a generous, smart and big-hearted book of poems, from a writer who truly values the whole of life as it is variously lived.